FOLLOW THE LEADER . . . President Mnangagwa leads Vice President Constantino Chiwenga, Cabinet ministers and other officials during a tour of areas that were ravaged by Cyclone Idai at Ngangu Township in Chimanimani.— (Picture by Anthony Zinyange. President Mnangagwa has said Government will engage experts to investigate an earth tremor that was felt in Chimanimani before Cyclone Idai hit the district last week, resulting in massive loss of lives and destruction of property. The President was speaking during his tour of Chimanimani to assess the extent of the damage caused by the cyclone and meet with the affected communities to evaluate their immediate needs. 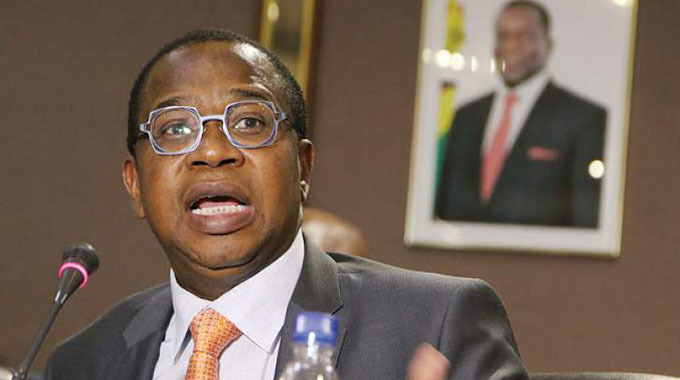 He was accompanied by Vice President Constantino Chiwenga, Defence Minister Oppah Muchinguri-Kashiri, Information, Publicity and Broadcasting Services Minister Monica Mutsvangwa and various other ministers, service chiefs and some members of the Zanu-PF Central Committee. Speaking at Mutare Aerodrome on arrival from Chimanimani yesterday, where he toured the affected areas, the President said it was evident that an unexplained weather phenomenon had struck the community just before the cyclone. “We visited the area and saw that infrastructure in relation to roads has been seriously damaged and there is destruction of almost every single bridge you can think of and the roads themselves have been washed off by the cyclone,” he said. President Mnangagwa said some of the areas he had visited were littered with huge rocks that villagers were not clear of their origins. “Mutsindo wavakanzwa uchirira ndobva makomo atanga kusundidzira ivhu richipisa richiyerera nematombo asingawanikwi munzvimbo iyoyo akatozara mahombe ayifamba achitswanya dzimba, achitswanya zvinhu zvakawanda asi asiri matombo anowanikwa munzvimbo iyoyo,” he said. President Mnangagwa said some of the bodies that were being discovered in Mozambique might have been swept away from the Rusitu area where a whole village had been swept away. “In Rusitu, there is an area where three rivers meet, an entire village was washed away,” he said. “I think that the bodies which are now being found in Mozambique came from there and because of the passage of time some bodies have been damaged. Cyclone Idai, which has been described as one of the worst disasters recorded in Southern Africa has affected more than 2,6 million people in Zimbabwe, Mozambique and Malawi. In Mozambique, President Filipe Nyusi on Tuesday said the cyclone has killed 200 people. The death toll in Malawi was at 56, while in Zimbabwe 104 deaths have so far been recorded, with the numbers likely to increase as more bodies are being discovered. 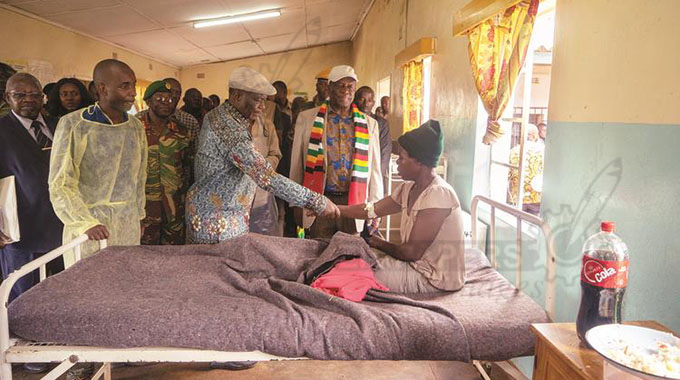 Earlier yesterday at Skyline Junction, President Mnangagwa assured the Cyclone Idai survivors that Government would work flat out to ensure that their welfare is catered for. President Mnangagwa and his entourage visited Ngangu and Kopa areas that were also hard hit by the cyclone. 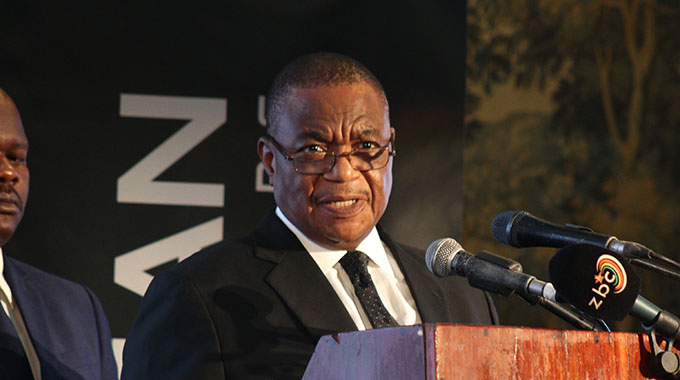 “We are here with Vice President Chiwenga to see for ourselves what happened after we gathered that disaster has struck here,” he said. President Mnangagwa said the response for their distress call was overwhelming both locally and from international organisations. “Our teams are working flat out to ensure that all the secured goods are brought here timeously,” he said. 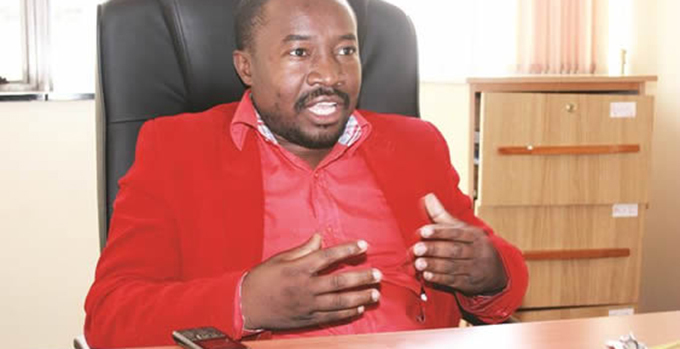 “We do not want to hear cases of people suffering here yet stocks of donated goods will be piled in warehouses in Mutare. President Mnangagwa hailed the Zimbabwe National Army for working round the clock to clear all blockages on roads leading to the most affected areas. He assured the gathering that all damaged infrastructure would be repaired. “Your road network was badly affected and we will ensure that our engineers are on the ground running and ensure that the damaged bridges are repaired,” said President Mnangagwa. President Mnangagwa said a new rural housing development plan would soon be rolled out to ensure that better houses were built. He said there was need to have properly constructed houses, as haphazardly constructed houses had contributed to the significant loss of lives. 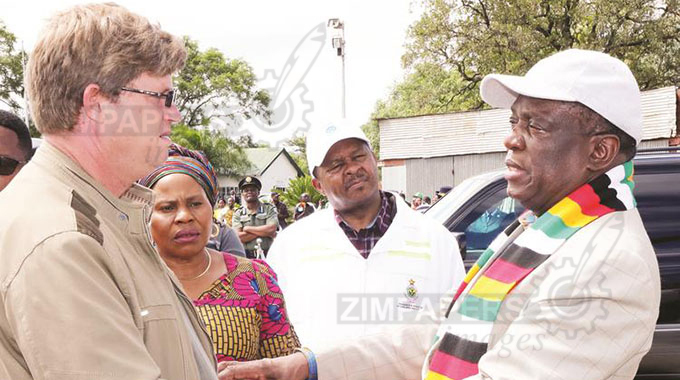 President Mnangagwa said Government would ensure that there was enough medication to treat all water-borne diseases that were likely to breakout because of the heavy rains. A logistical centre will be created in Chimanimani where resources would be distributed and co-ordinated.